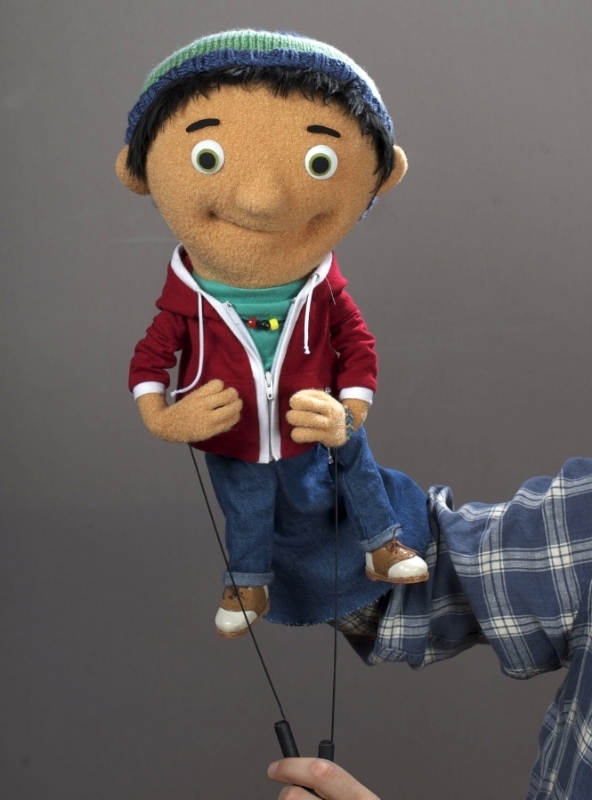 The character of Finn, representing a young boy with cancer, was built by Puppet Heap for KidsHealth and Little Airplane Productions. A Boy Named Finn, a 12-minute video, is an overview of cancer and common treatment experiences aiming to help young children who are beginning cancer treatment and to relieve anxiety about hospital stays, medicine, needles, and being separated from parents. Puppeteer Peter Linz performing Finn.